Searching for small bathroom ideas? At VictoriaPlum.com, we never shy away from a challenge, which is why we've come up with these smart ideas for compact bathrooms. According to a recent customer survey, the average-sized UK bathroom is around 2.4m x 2.7m, which, if you think about it, at 6.48 sq. m, isn't much bigger than 2 king-sized mattresses laid side by side. Fitting everything you want into a space this size can be problematic. It's also true that your cloakroom may potentially be the only bathroom that guests and visitors ever get to see, so it's important to make a lasting impression. 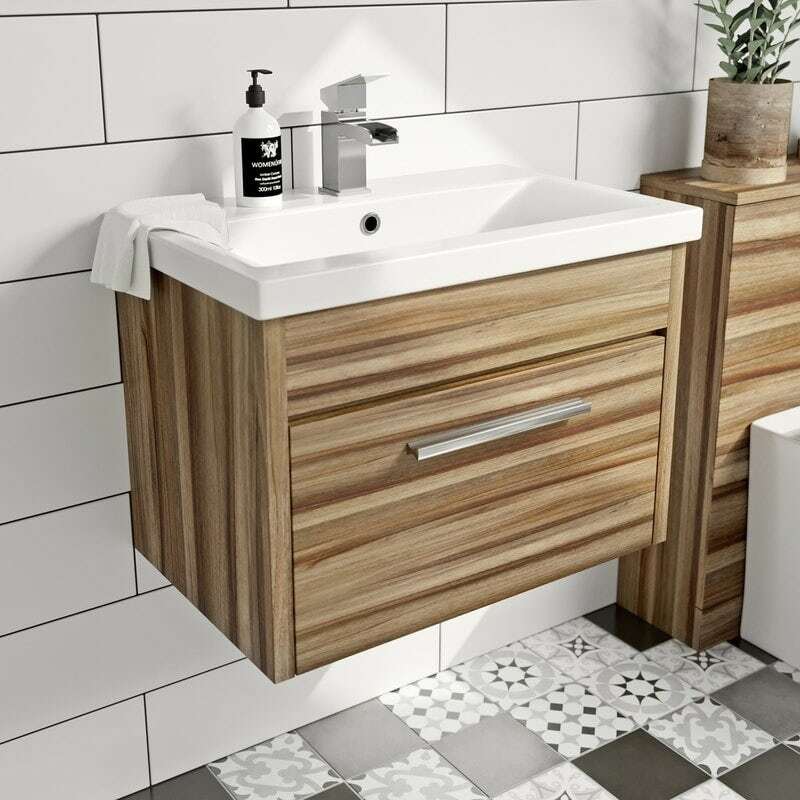 Today there are a host of bathroom items available on the market for smaller spaces, including short-projection furniture, wall hung units, easy access drawers, corner basins, toilets and shower enclosures, all of which make smart use of every available inch. Wall hung units in particular can leave the floor entirely visible and help to create an impression of space. The Compact cloakroom furniture range from Orchard Bathrooms is perfect for any small bathroom, ensuite or cloakroom. The cloakroom furniture unit is supplied complete with a contemporary fitted ceramic basin and has enough storage space for towels and other bathrooms products. 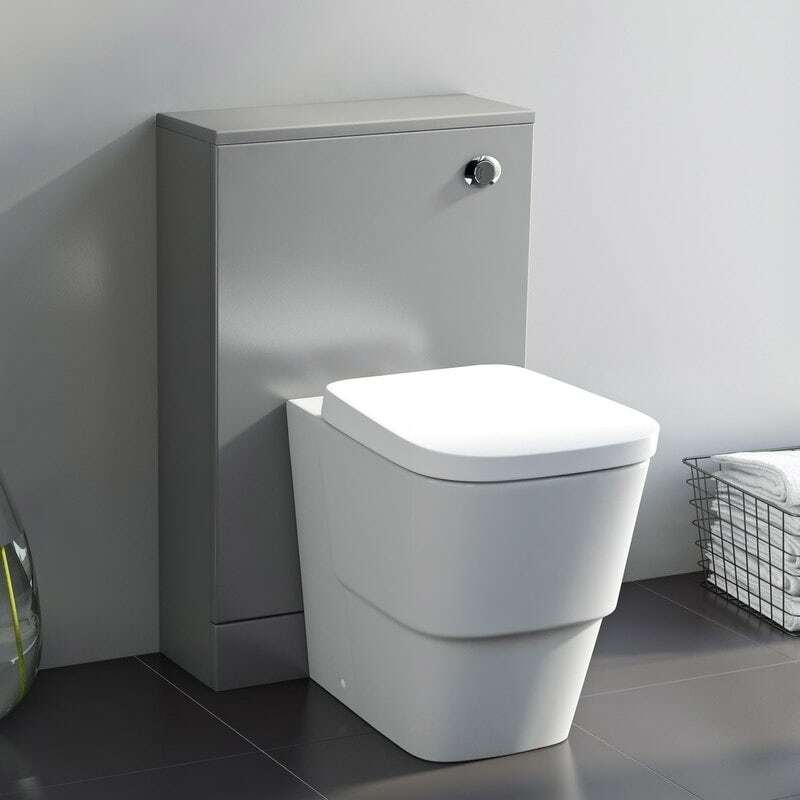 The slimline Orchard Derwent white back to wall toilet unit comes fully assembled and is available in a high gloss white finish or stone grey (pictured below), whilst the Orchard Derwent tall wall unit provides plenty of storage space, minimising clutter and creating a clean look and feel. 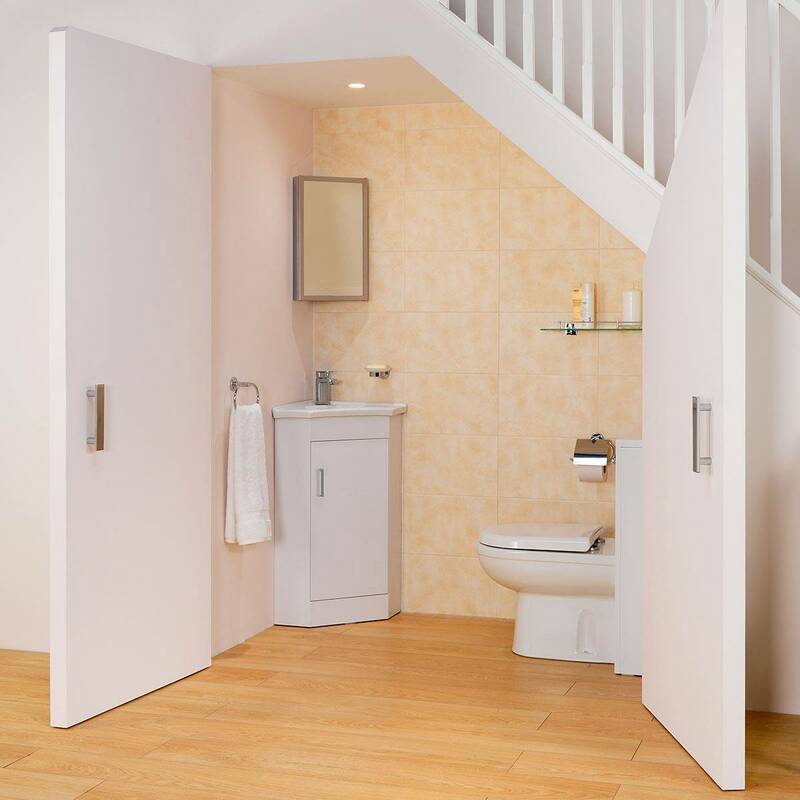 The Clarity bathroom furniture range is the perfect solution for smaller bathrooms if you're working to a tight budget, with a range of short projection storage in a choice of stylish white or walnut finishes. Plus, the wall hung drawer unit and basin helps keep your floor space clear. 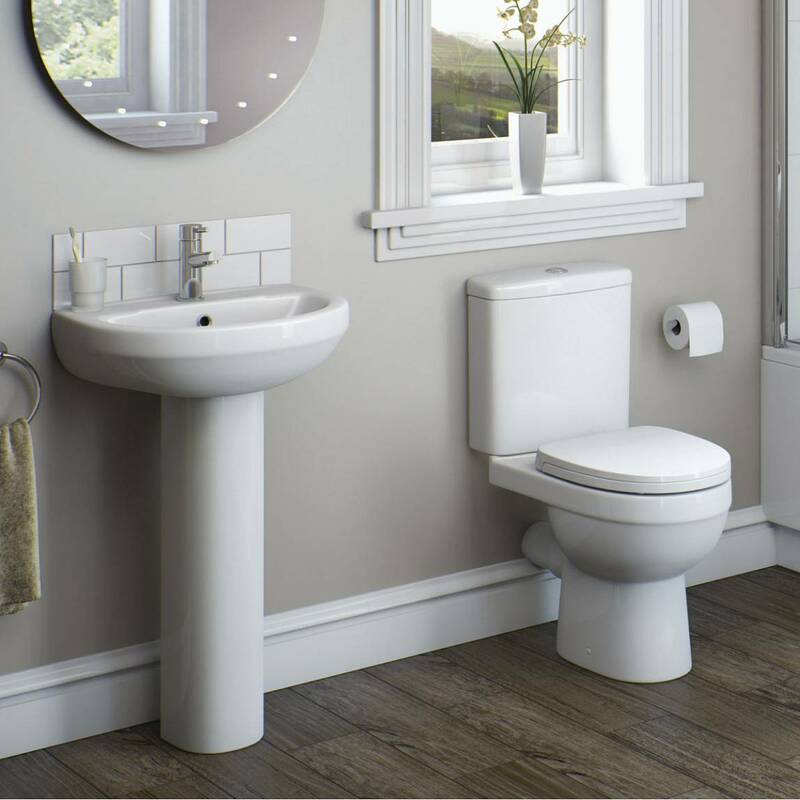 One of our most cost-effective bathroom solutions, the Orchard Eden bathroom suite features a close coupled toilet and pedestal basin with short projection, making it much easier to fit everything you want. Undoubtedly the cloakroom has come of age and its practical needs are being met by our design team here at VictoriaPlum.com, with specially designed collections that are guaranteed to make a statement. You'll find more big ideas for small bathrooms on our blog. Where your bathroom is likely to differ from the millions you’ll find up and down the country, is in terms of its layout. A window here, an alcove there and suddenly finding room in your bathroom is a lot trickier.